Sometimes simplicity is just better. Americans tend to overcomplicate things. What I love about Gabby’s Burgers and Fries, is that they understand the importance of simplicity. Gabby’s is a no-frills hub for grass-fed burgers. This review has been in the works for a long time. I tried Gabby’s burger for the first time about a year and a half ago. It was right before Kevin and I decided to start Burger Diaries. Actually, Gabby’s played a part in inspiring this blog! Kevin had recently moved to LA to attend grad school, but was back in Nashville visiting. Somehow (meaning I probably mentioned The Burger that made me fall in love with burgers…more on that another day), we started discussing burgers and Kevin mentioned he was about to start a burger tour in LA that upcoming semester. I said “No way! I’m on the hunt for the best burger in Nashville!” and the idea for creating a burger blog was born. Kevin mentioned his favorite burger in Nashville was Gabby’s, and he was shocked that I had never been. 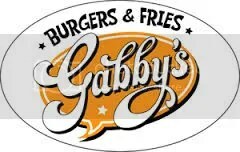 We decided to change that, and I’m glad we did because Gabby’s is one of Nashville’s best kept secrets. You will probably think your GPS is messing with you the first time you drive to Gabby’s. It is a little off the beaten path, and not in the safest Nashville neighborhood. But just as you begin to feel like you must have taken a wrong turn, you’ll see the little building on the corner that is Gabby’s Burgers and Fries. You know a burger joint MUST be good if they can afford to only stay open for lunch, and there is usually always a line out the door. Don’t worry, the line moves quickly. Not only do they serve quality beef, but it’s at a reasonable price! The Seamus starts at $7.50, which includes your choice of side (Tip: If you can’t decide between regular fries or sweet potato fries they will let you get half and half.) If you want to get creative with your burger, they have everything from bacon to peanut butter you can add for a little more. People often ask me what my favorite Nashville burger is. It’s a hard question to answer because it really depends what you are looking for. If you want a burger that doesn’t need fancy toppings to make it good, Gabby’s is your burger. Not only is the food delicious, but the staff is so friendly and fun! I have been in there when they are wicked busy, and the staff still manages to keep things moving while having a great time. It truly looks like they are “Living the Dream”. 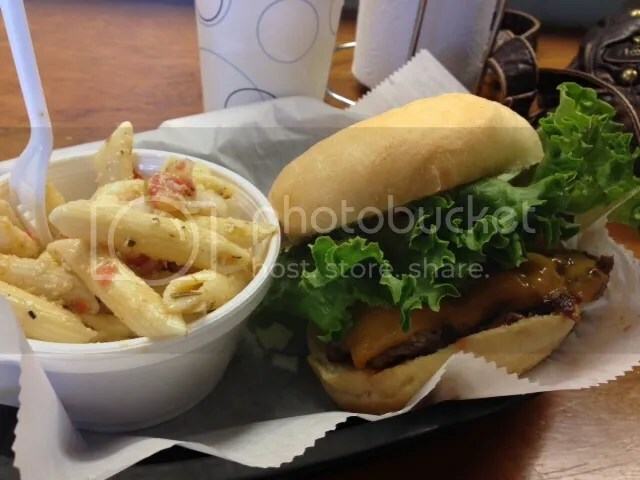 If you haven’t tried Gabby’s yet, make plans to stop in for lunch soon! Then leave us a comment below and tell us what you think!